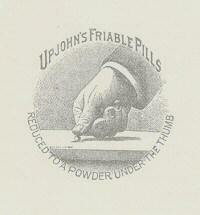 The Upjohn Company has been a leader in new pharmaceutical products since the early twentieth century. 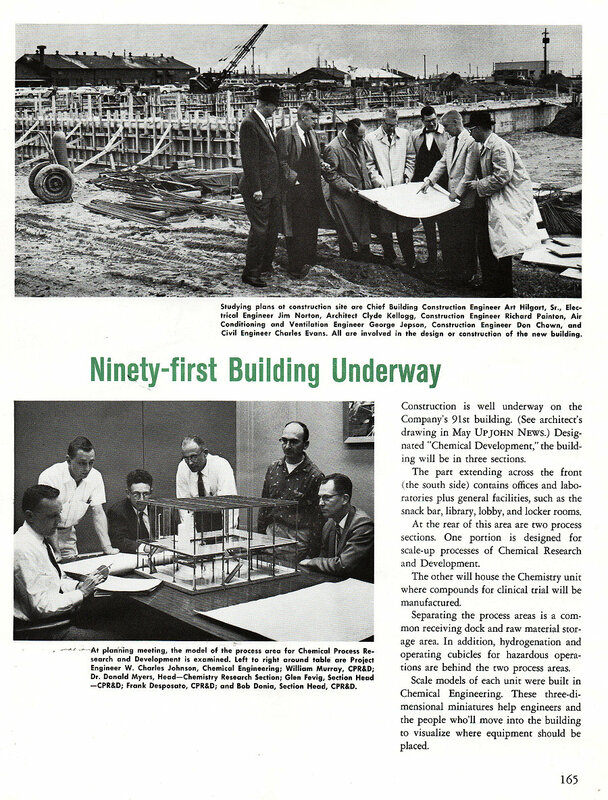 A large investment in this area was the construction of Building 91 in 1960. 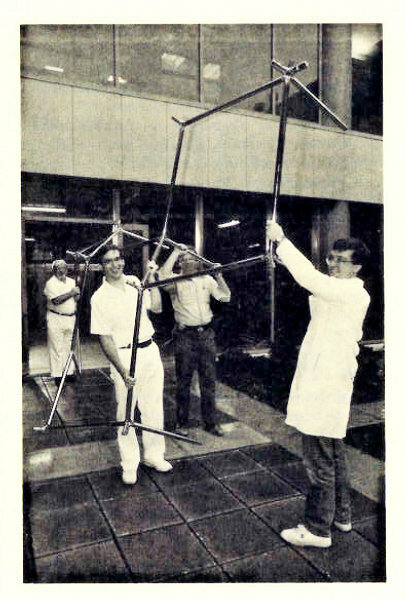 The article below on this is from an Upjohn News magazine at that time. 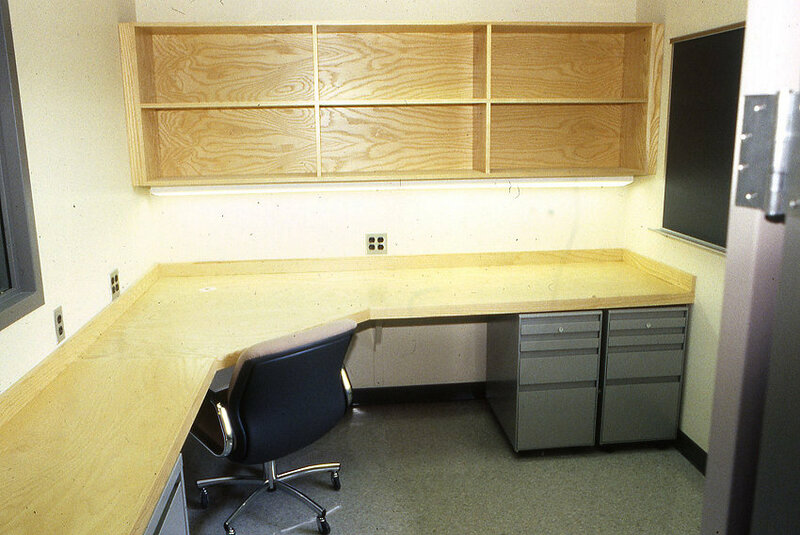 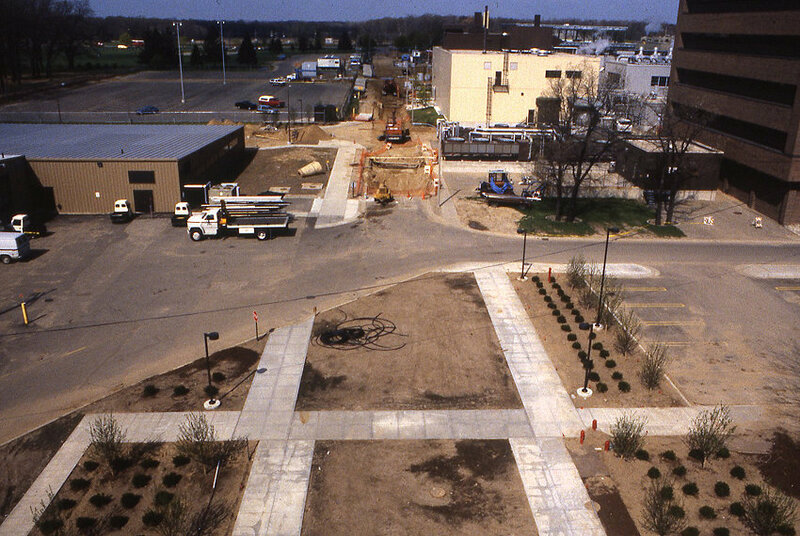 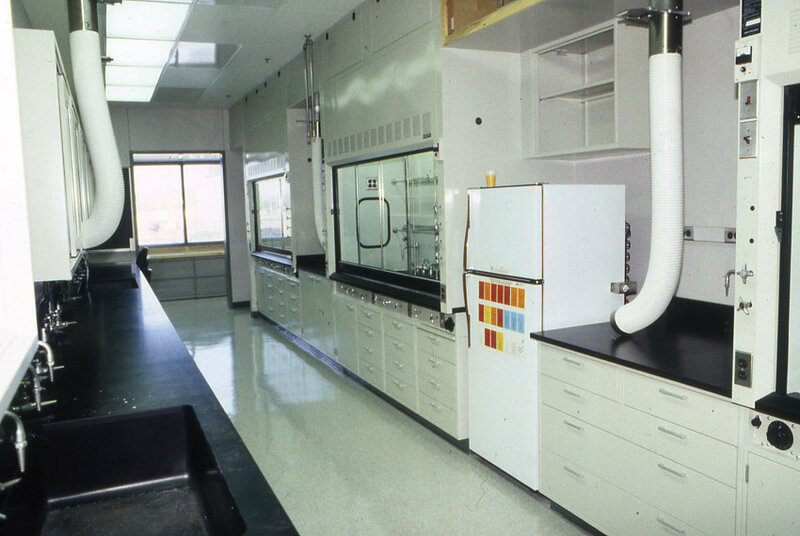 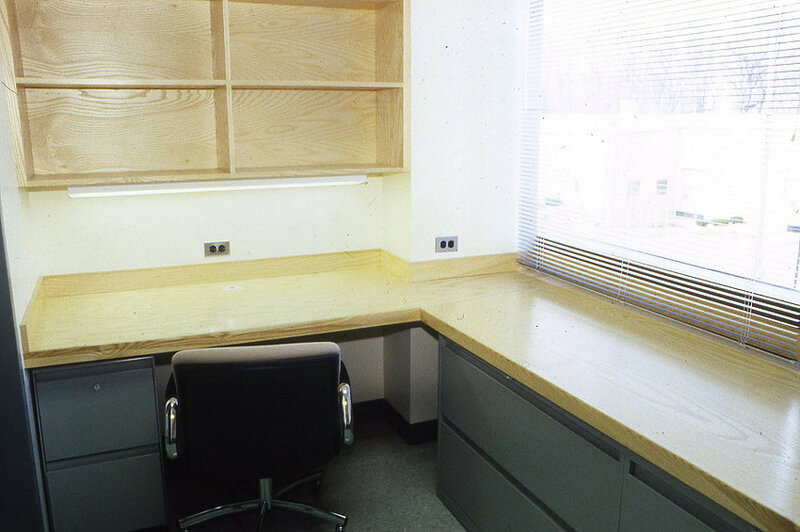 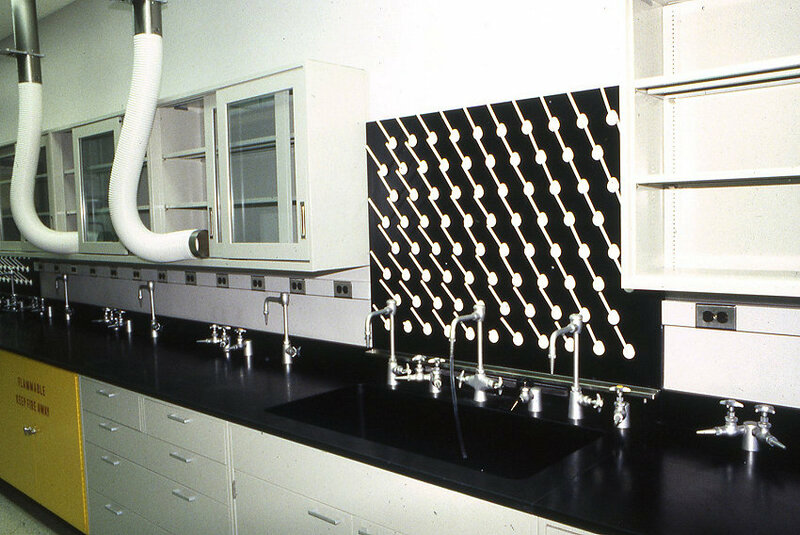 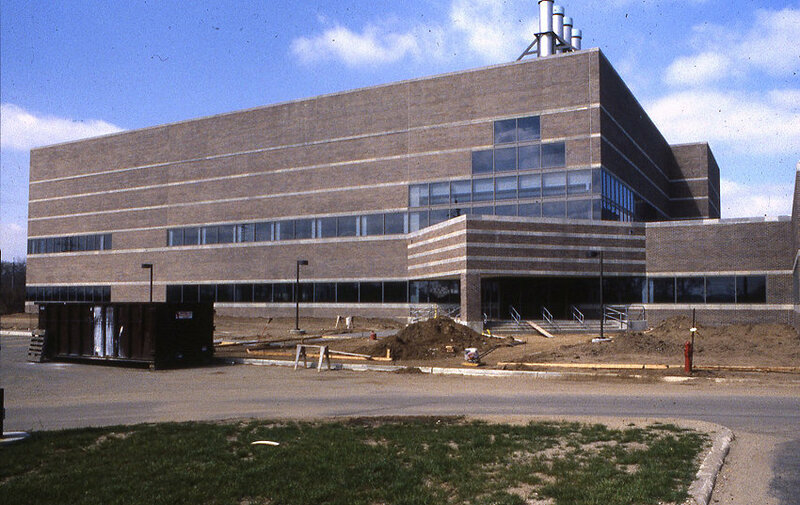 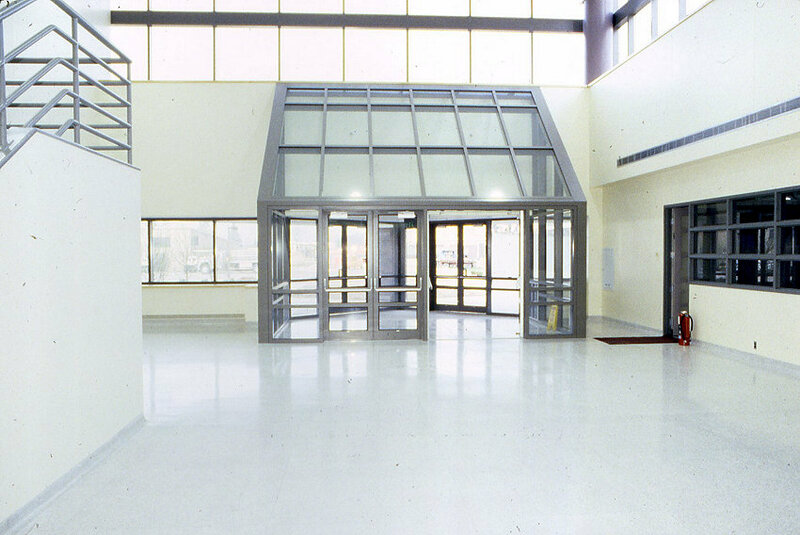 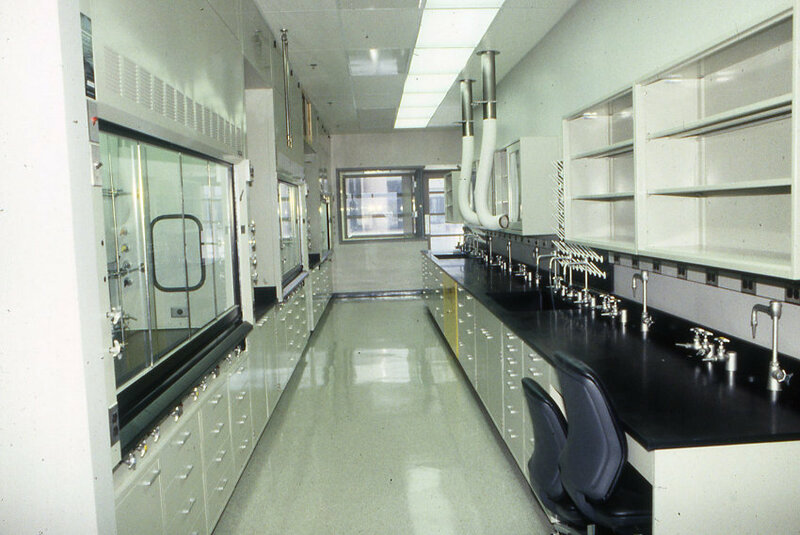 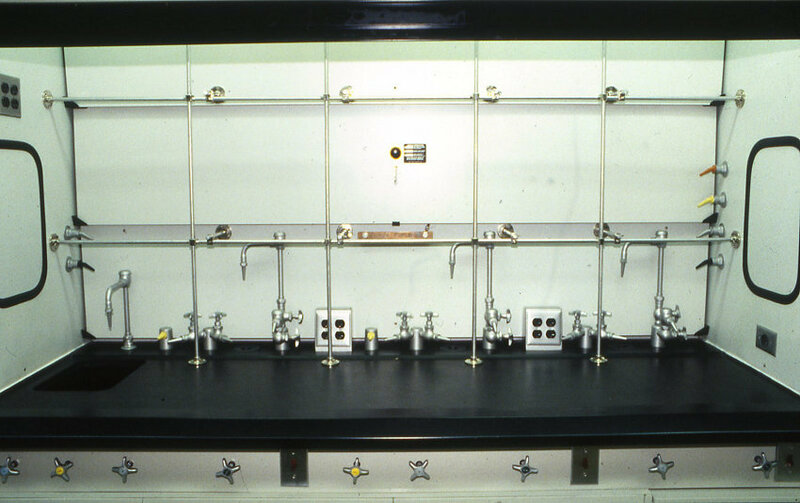 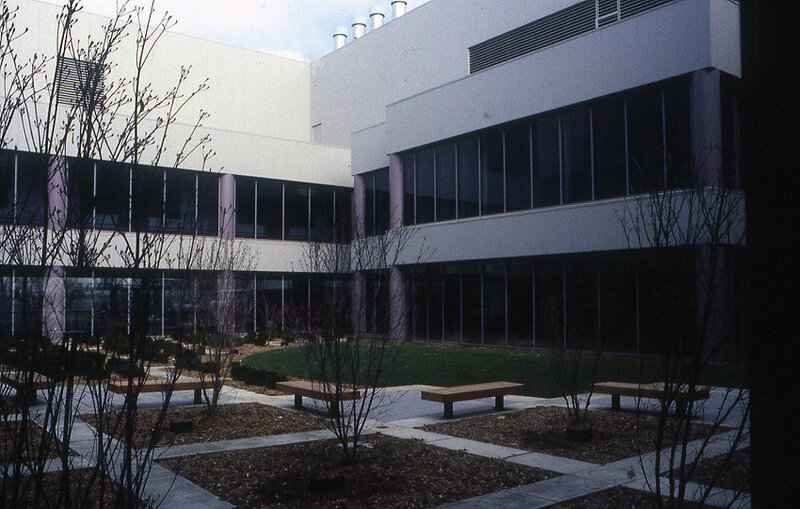 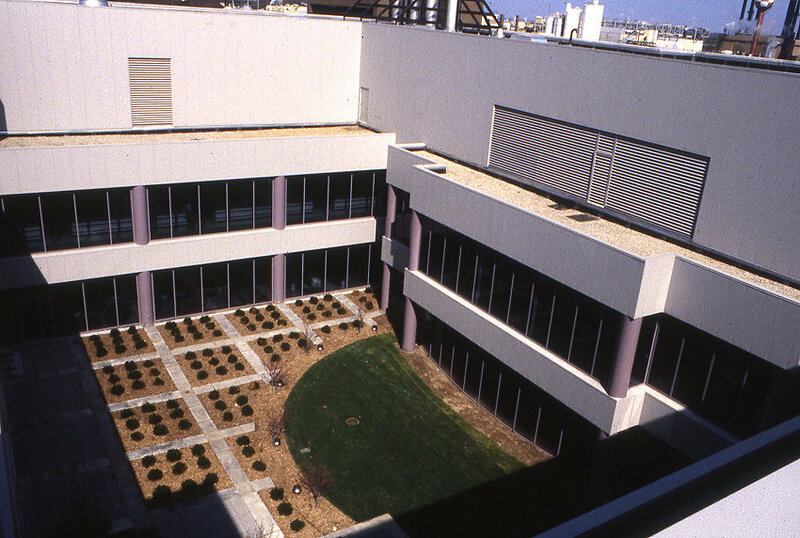 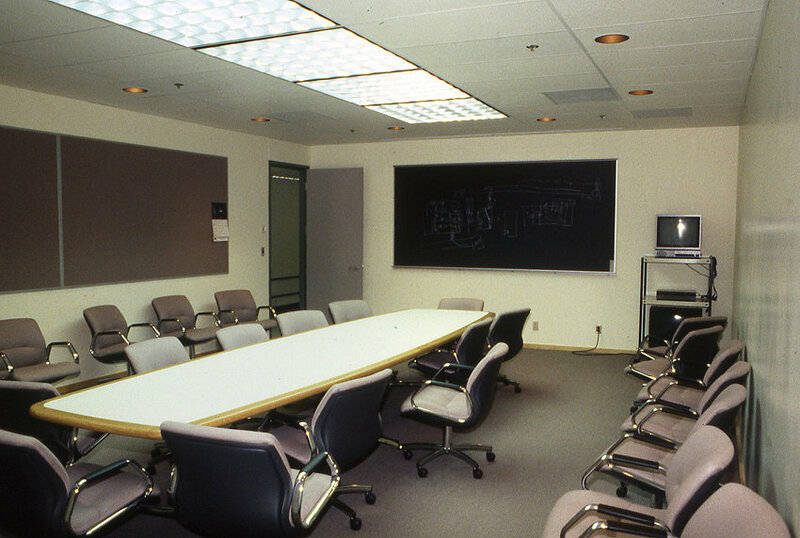 Then in 1990 it was expanded by 136,000 sq ft to give many new labs and support rooms. 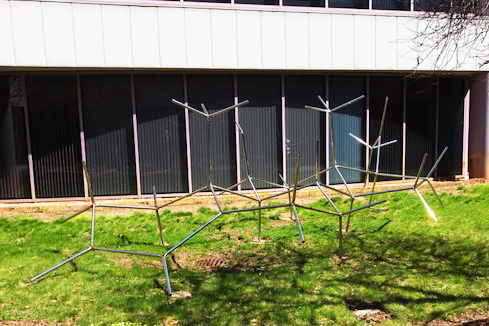 A sculpture of the hydrocortisone molecular structure was placed in the building atrium at that time.